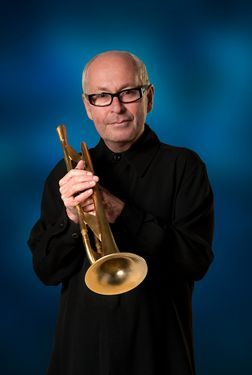 From Greg's website: The sound of Greg Adams is one of the world’s best-known musical signatures. 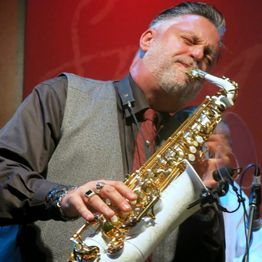 Adams has recorded six solo albums, three releases with East Bay Soul and fourteen recordings as a founding member of Tower of Power, legendary for his arrangements that made the TOP horn section a sought out entity all its own. His 1995 debut Hidden Agenda went all the way to #1 on Billboard and stayed there for five weeks. Greg has arranged, performed and recorded with artists as diverse as his career, including The Eurythmics, Rod Stewart, Lyle Lovett, Heart, Linda Ronstadt, Luther Vandross, Aaron Neville, The Brothers Johnson, Phish, Little Feat, Wilson Pickett, Huey Lewis and the News, Raphael Saadiq, Al Green, Quincy Jones, B.B. King, Everclear, Chicago, Bonnie Raitt, Dionne Warwick, Ray Charles, Peter Frampton, Billy Preston, Terrence Trent Darby, Josh Groban Madonna, The Rolling Stones and Celine Dion to name a very few. From Herman's website: Herman is currently working with Rock & Roll Hall of Fame inductee and 3 time Grammy winner Timothy B. Schmit. 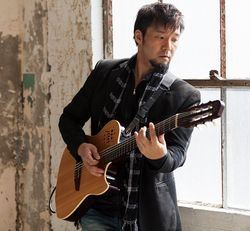 Other head liners or artists he has played for via House band, Showcase, tour or Television include two-time Grammy award winner Kenny Loggins and singer/songwriter Richard Marx. David Foster, Tom Jones, Michael McDonald, Bill Champlin, Phillip Bailey, Sheryl Crow, "Baby Face" Edmonds, Herbie Hancock, Chris Botti, James Ingram, Boney James, Steven Stills, Edger Winter, Luther Vandross, Celine Dion, Michael Bolton, Patty Austin, Chaka Chan, Carol King, SHeDAISY, Ronnie Millsap, Fee Waybill, Bill Champlain, Maxi Priest, Debbie Gibson, Diane Reeves, Kenny G., John Farnham, Nia, Snuffy Walden, Greg Adams & East Bay Soul, and Gavin Christopher. Herman has also played for President Bill Clinton on three occasions as well as Nelson Mandela. From Smitty's website: Smitty’s talent and love for his craft demanded something bigger. He knew that if music was going to be his life, he had to leave and go where the opportunities were, so off to Los Angeles he went! Smitty burst onto the scene and immediately began playing in the local clubs. It wasn’t long before his gift and unique style was sought after by local and national artists alike. 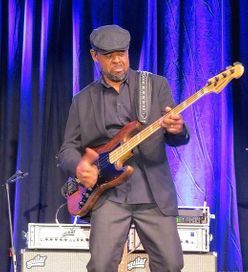 He began playing with the likes of George Howard, Gerald Albright, Jeff Lorber, Anita Baker, Teena Marie, Natalie Cole, Kirk Whalum, Rachelle Ferrell, Tom Jones and 7 years with the legendary Isley Brothers. He went on to play on countless recordings with such artist as Will Downing, Ledisi, Paul Taylor, Maysa, Lalah Hathaway, Najee, Laura Izibor, the Frankie Beverly “Tribute”, Chante Moore and many others. As a writer, he earned his first gold record for co-writing Boney James’ “Without A Doubt” on Boney’s Seduction album. Smitty’s career expanded and he began to play and collaborate on music for many sitcoms such as Sister Sister, South Central, Thea and Matt Waters, just to name a few. His movie credits include “Ali” starring Will Smith. For the past 13 years, Smitty has been the music director for the benefit concert “Starlight Jazz Serenade”, which supports Hands for Hope, a non-profit organization committed to free after school programs for at-risk youth in the North Hollywood area. With all of his accomplishments, his greatest joy comes when he is able to be a part of the music team at his home church. From Greg's website: Greg Vail has toured and recorded with some of the hottest names in the jazz, pop, and Christian music scenes including Rick Braun, Peter White, Greg Adams, Josh Groban, Petra, Crystal Lewis, Natalie Cole, Al Jarreau, Michael McDonald, Earth Wind and Fire, and Smokey Robinson. Over the last 30 years, Vail has also made appearances for everything from television and cable, BET Jazz, History, Fox News, TBN, to the national commercial for TimeLife Records promoting the renowned Sax by Candlelight and Sax by Moonlight CDs which sold in the millions worldwide. 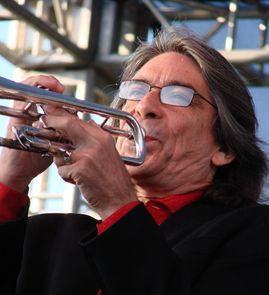 From Wikipedia: Lee Thornburg is a trumpeter who has played with many artists, and also has been a member of Supertramp and Tower of Power. Thornburg also played with Wayne Cochran and the C.C. Riders in the 1970s. Thornburg toured with Tom Petty, Aaron Neville, Ray Charles, Bonnie Raitt, Huey Lewis, Dwight Yoakam and Clint Black. Most recently Lee has been touring with Joe Bonamassa. Johnny Sandoval, a native of Miami, Arizona, was introduced to music by his family who migrated to the USA from Almeria, Spain. He started playing bongos and continued to hone his skills as a multi-talented musician, songwriter, and recording artist. 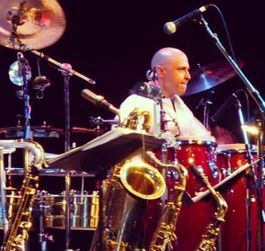 His new album entitled @conga has a unique blend of Salsa, Flamenco, Funk, Rock, Middle Eastern, Brazilian, Classical and Jazz and was released in January 2013! Sandoval cherishes everyone he plays with and his opportunities to travel the world sharing talents with many wonderful artist and audiences. Some key credentials include recordings and performances with Greg Adams, Tom Scott, Arturo Sandoval, Brandon Fields, Ron King, Michael Paulo, Chuchito Valdez, Ry Cooder, Jim Keltner, David Foster, Phil Perry, Wally Minko, Smokey Robinson, Tom Breckline, Bernie Dresel, Joey Heredia, Lenny Castro, Herman Mathews, Justo Amarillo and thankfully many more!